Public speaking and giving speech. Singing to mic in karaoke. Public speaking and giving speech. Singing to mic in karaoke or talent show background. 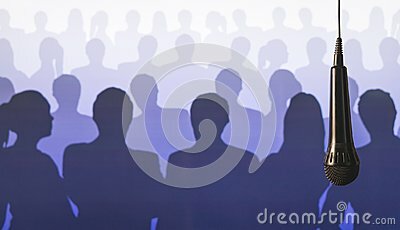 Microphone hanging from ceiling from wire in front of a crowd of silhouette people.